How much do you love your fun socks? 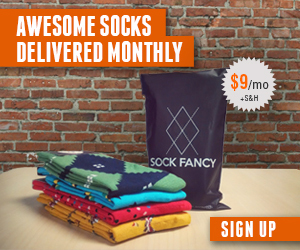 SockPanda sends you awesome socks and has sock of the month subscriptions for men, women, and kids. The best part about SockPanda is their sock drive – Sock Panda drives across the country to meet all subscribers and is aiming to donate 5000 pairs of socks to people in need. Give SockPanda a try today!